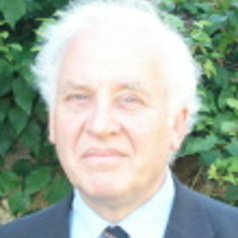 Simon Cotton has written seven books on molecular chemistry, three as sole author. He has also published extensively in the chemistry of the d- and f-block metals. He taught for some 30 years in state and independent secondary schools and has been closely involved in promoting chemistry, whether visiting feeder schools with activities such as Magic Shows, or by extension through his lectures and writing. His "Soundbite Molecules” column regularly appeared in Education in Chemistry magazine for 15 years from September 1996, reaching every secondary school in the UK, and he has been a major contributor to the Royal Society of Chemistry’s “Chemistry in its element – Interactive Periodic Table” and “Chemistry in its element – Compound” podcasts. He has also written nearly 60 “Molecules of the Month” for the University of Bristol’s website. In 2005, he shared the Royal Society of Chemistry’s Schools Education Award.